Provided that nothing contained in this act shall affect the rights of the preference shareholders who are entitled to participate in the proceeds of winding up before the commencement of this act. In case of winding up, repayment or repayment of capital or the amount of share capital paid up or deemed to have been paid up. Preferential right to the payment of any fixed premium or a premium on a fixed scale that has been specified in the memorandum or articles of the company. That in respect of capital, in addition to the preferential right to the repayment, on a winding up, of the amount specified in sub-clause (b) of clause (ii0, it has a right to participate, whether fully or to a limited extent, with capital not entitled to that preferential right in any surplus which may remain after the entire capital has been repaid. 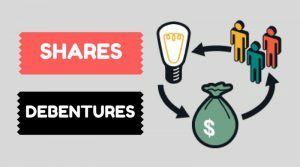 The debentures or shares of any member in a company may be movable property which is transferable in a manner provided by the articles of a company. Nothing in this section may apply to a share which is held by a person whose name been entered as a holder of a beneficial interest in such share in the records of a depository. A certificate, issued under the common seal of the company, specifying the shares held by any person, shall be prima facie evidence of the title of the person to such shares. Has been defaced, mutilated or torn and is surrounded by the company. Notwithstanding anything contained in the articles of a company, the manner of an issue of a certificate of shares or the duplicate thereof, the form of such certificate, the particulars to be entered in the register of members and other matters shall be such as may be prescribed. Where a share is held in depository form, the record of the depository is the prima facie evidence of the interest of the beneficial owner. If a company with intent to defraud issues a duplicate certificate of shares, the company may be punishable with a fine amount which may not be less than five times the face value of the shares involved in the issue of the duplicate certificate but that may extend to ten times the face value of such shares or ten crore rupees whichever is higher and every officer of a company who is in default may be liable for action under the section 447. His voting right on a poll shall be in proportion to his shares in the paid-up equity share capital of a company. The dividend with respect to a class of preference shares would not be paid for a period of two years or more, such class of preference shareholders will have a right to vote on all the resolution which has been placed before the company. If one class of shareholders affects the rights of other class of shareholders, affects the rights of any other class of shareholders, the consent of 3/4ths of such other class of shareholders can be obtained and the provisions of this section may apply to such variation. The holders of not less than ten percent of the issued shares of a class may not consent to such variation or vote in favour of the special resolution for the variation, they may have applied to the tribunal to have a variation which is cancelled and if any such application is made, the variation would not have effect unless and until it has been confirmed by the tribunal. After the date of the consent been given or the resolution had been passed, the application under this section shall be made within a period of twenty-one days as the case may be and that may be made on behalf of the shareholders entitled to make the application by such one or more of their number as they may appoint in writing for the purpose. The decision of the tribunal on any application under sub-section (2) shall be binding on the shareholders. The company would have filed a copy thereof with the registrar within a period of thirty days of the date of the order of the tribunal. If any default been made in complying with the provisions of this section, the company would be punishable by a fine amount which shall not be less than 25 thousand rupees but that may be extended up to five lakh rupees and every officer of a company who is in default would be punishable with the imprisonment for a term which mat extends with fine which shall not be less than twenty five thousand rupees but which may extend to six months or with a fine amount that should not be less than twenty five thousand rupees but extends to five lakh rupees or with both. 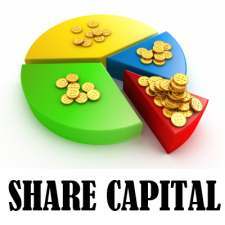 For further share capital, the call for them is made on the share of the class; those calls can be made on a uniform basis on all the shares falls under that class. Explanation: Same nominal value shares on different amount been paid up would not be deemed to fall under the same class. A company which is authorized by the articles, accept from any member the whole or part of the amount remaining unpaid on any shares held by him, even if no part of the amount has been called up. A member of a company which is limited by shares would not be entitled to any voting rights in respect of the amount paid by him under sub-section (1) until that amount got called up. Payment of dividend in proportion to the amount paid up. If a company authorized by its articles, pay dividends in proportion to the amount paid up on each share. 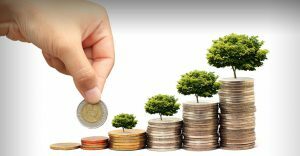 Whether cash or not, the company issues shares at a premium, a sum which equals to the aggregate amount of the premium shall be received on those shares and transferred to securities premium account and the provisions. This act relates to the reduction of share capital of a company, except as provided in this section, can apply if the securities premium account were the paid-up share capital of a company. Own shares or securities been purchased under section 68. The premium account of securities, in spite of anything contained in the sub-section (1) can be applied by any such class of companies as may be prescribed and whose financial statement complies with the accounting standards prescribed for such class of companies under the section 133. Purchasing of own shares or other securities under section 68. 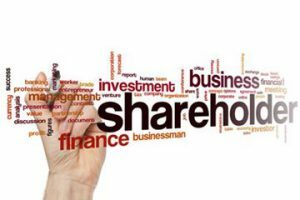 A company cannot issue shares at a discount except as provided in section 54. Any share which has been issued by a company at a discounted price shall be void. A company which contravenes the provisions of this section, the company would be punishable with a fine amount that should not be less than one lakh rupees but which may extend up to 5 lakh rupees and every officer who is in default would be punishable with an imprisonment for a term which extend up to 6 months or with a fine amount that should not be less than one lakh rupees but can extends up to 5 lakh rupees or with both. The equity shares of the company are listed on a recognized stock exchange, the sweat equity shares are issued in accordance with the specific regulations made by the securities and exchange board in this behalf and if they are not listed, the sweat equity shares are issued in accordance with such rules as may be prescribed. 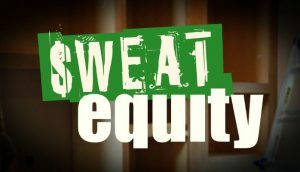 The limitations, restrictions, rights and the provisions as for the time being applicable to equity shares may be applicable to sweat equity shares which are issued under this section and the holders of such shares may rank pari passu with other equity shareholders. We are the leading and the trustworthy business service providers who can provide brilliant business services to the clients as per their requirements. Company registration process can be done with the highest business efficacy and with best business offers. To know more ->Click here.